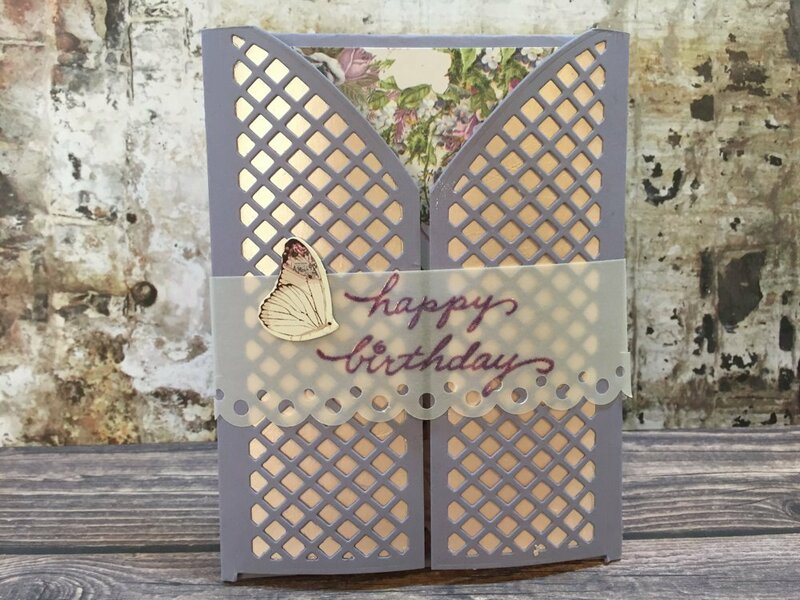 Today’s project features the beautiful rose paper from the Prima Lavender collection and the lattice dies from a Scrapbooking Made Simple kaleidoscope set to make this beautiful gatefold birthday card. 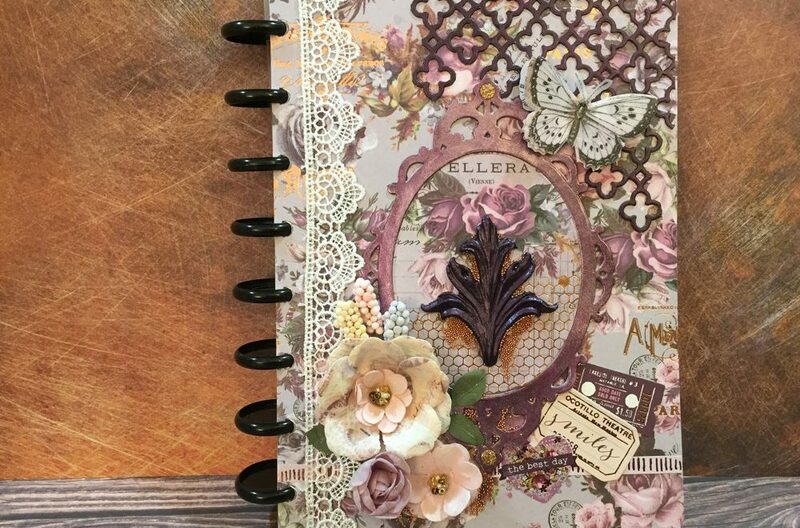 Many of the dies from Scrapbooking Made Simple (SMS) pair perfectly with this paper collection. 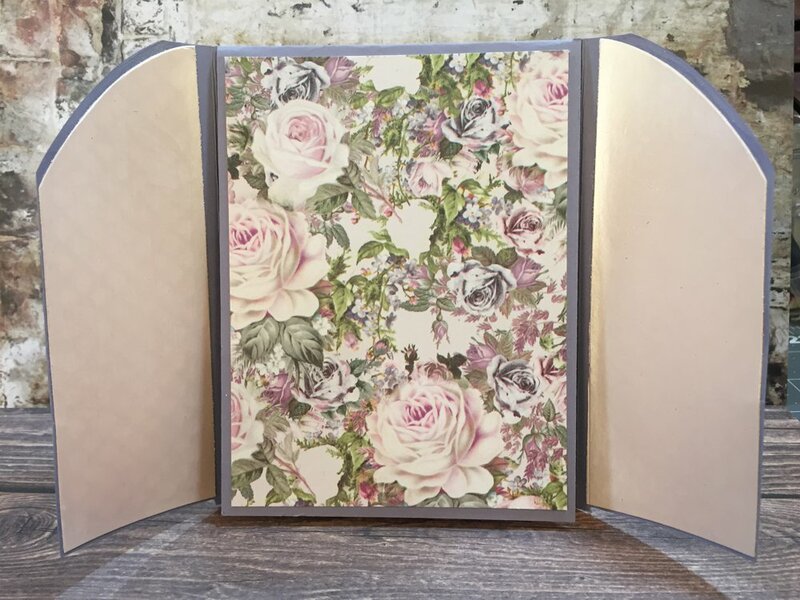 I also create my own custom shimmer paper to make a unique, top-folding gatefold card. Let’s get started! There were two keys to successfully making this card. First, when trimming the paper, you need to take off 1/16th-1/8th of an inch from the interior width of the top-fold portion of the card. This gives a little extra space on the inside to accommodate the layers of the top-fold section between the gatefold wings. I explain this in the video. Second, make sure you place the lattice dies to the outer edges of the gatefold wings. You don’t want to align the long edge of the die to the fold lines because the lattice pieces are not quite 2 1/8″ wide. Otherwise you’ll be left with a gap when you fold the gatefold wings together. Recently, there have been a handful of dies released that form die-cut gatefold wings. 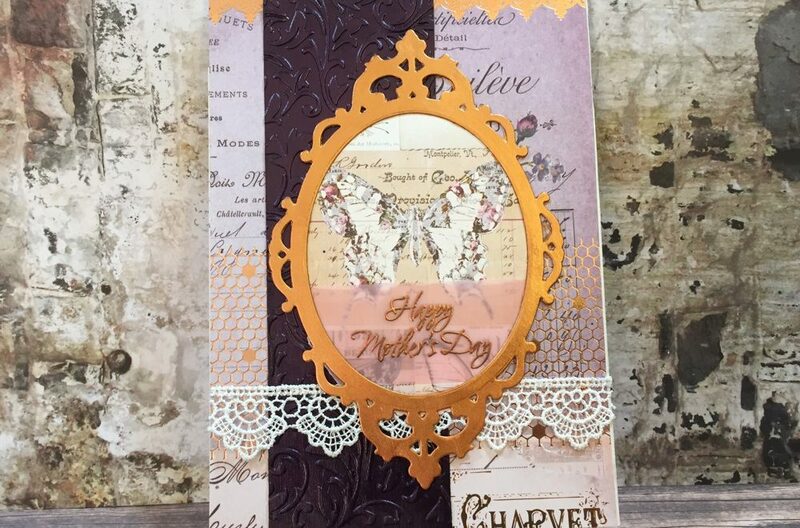 I have a beautiful set of butterfly dies from Memory Box. A quick search at Simon Says Stamp yielded at least 5 different options if the SMS dies sell out. 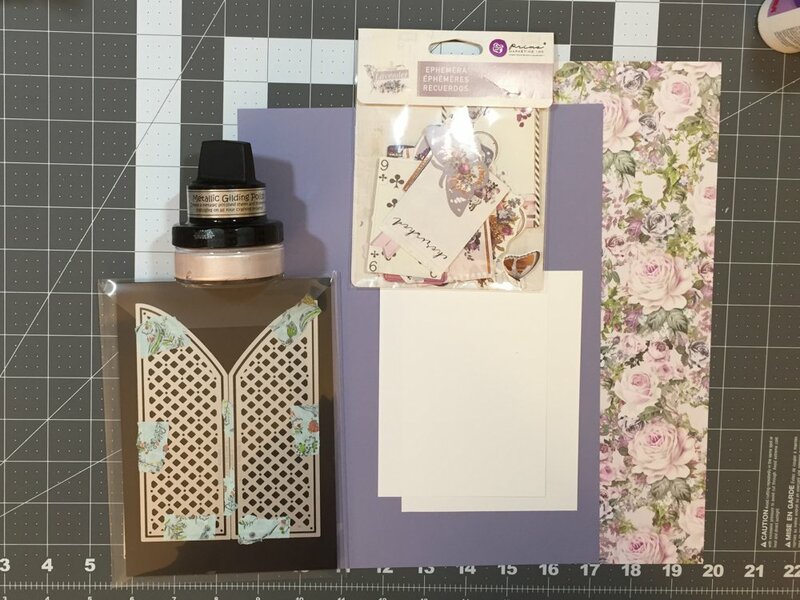 There were SSS dies as well as a couple from Sizzix that would be a perfect substitute. While I didn’t decorate the insides of the gatefold wings, you could certainly add extra stickers, ephemera, or fussy cut cut-aparts from any of the sheets. I preferred to keep it simple on the inside to not compete with the paper or the shimmery. Instead of reading about how to put it together, check out our video that explains it all. 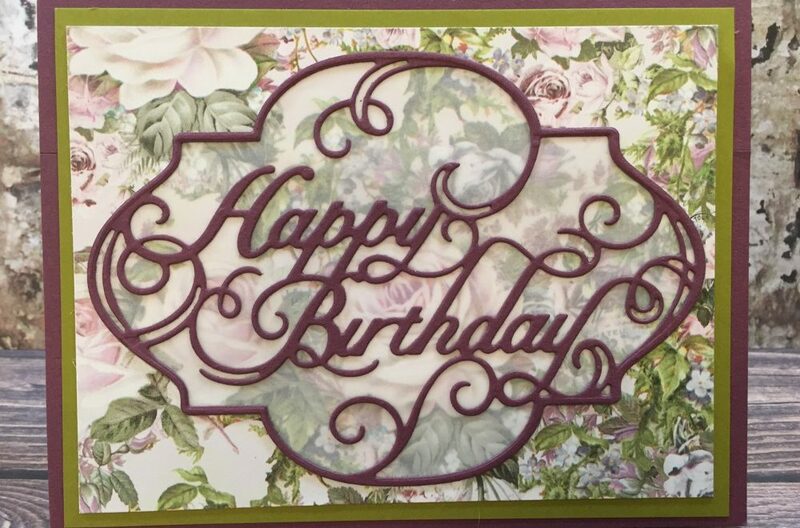 Quick, easy and elegant, any recipient would be happy to receive this card to mark their special day. You could easily change up the greeting on the outside to make this into a wedding, thinking of you, get well, or sympathy card. This card is the second in a series of five projects using this collection. You can find all of the posts by clicking here.